In order to make a right purchase of an aircraft whether it is a fixed wing or rotor wing (Cessna, Piper, Robinson, Bell, etc.) it requires Knowledge and Experience. 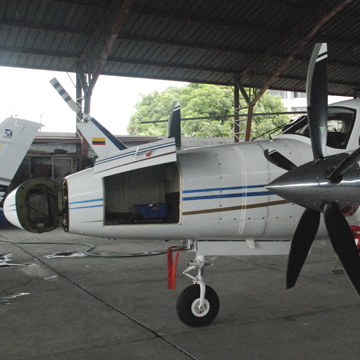 At Arica we analyse your requirement before offering an aircraft. This way we can recommend witch aircraft offers more benefits for your Investment. 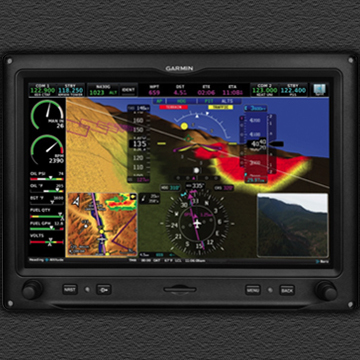 The brands we use are leaders in the AVIATION market (navigation, communication and instrument integration systems for aircraft). In our avionic shop not only do we check that your instruments are in proper operating condition but we can install equipment that will help you improve the information you need for a safer flight. 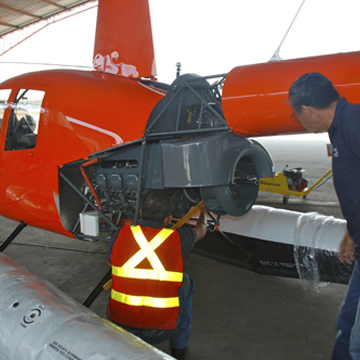 We offer line maintenance with qualified personal at our certified service station # ARICA-04-N. We can work on most aircraft (under 5.700 Kg), engines and components. 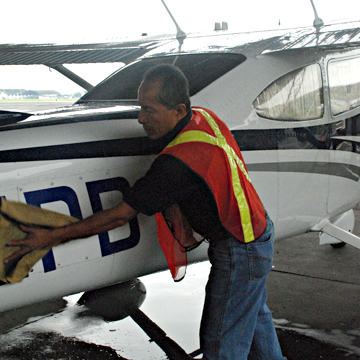 We arrange your air taxi needs depending in your preference and requirements in the best aircraft Available. 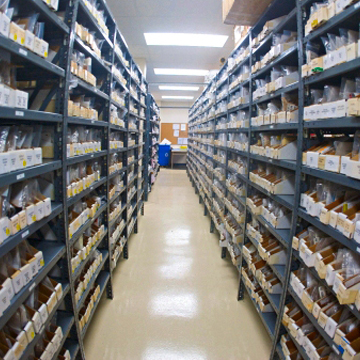 We keep a large Inventory of original parts with their airworthiness approval tags. 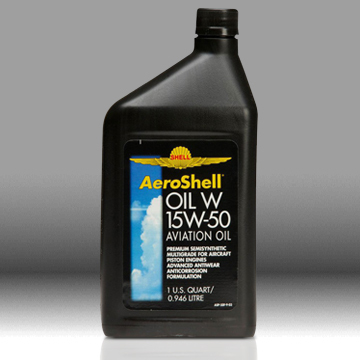 We offer the best name brands of oil and lubricant in order to give long life and safety to the operation of your engine and aircraft. 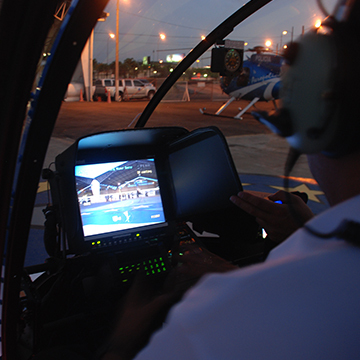 We will Receive, Dispatch, and Care for your aircraft while it’s in our HANGAR 7. 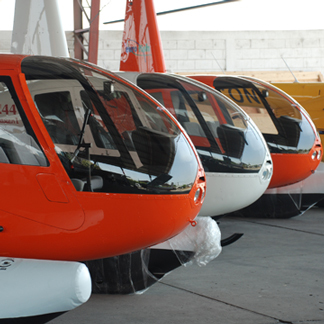 Coordinating with Robinson Helicopter Company factory training or with an ecuadorian pilot instructor, we can prepare a specialized program just for your needs. 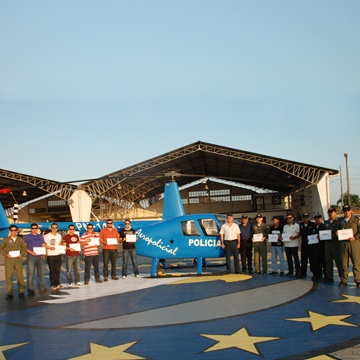 With the presence and under the instruction of Police officer Jose J. Barajas, we prepare courses that perfect Police Pilots in their tactical flight. Structural repairs and alterations (STC’s). 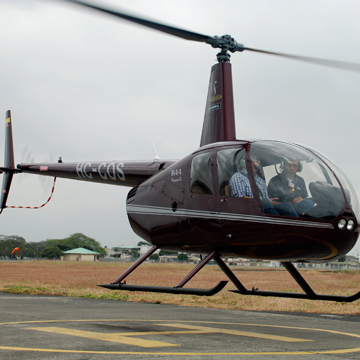 Field overhauls for Robinson helicopters. Dynamic balancing for airplanes and helicopters.